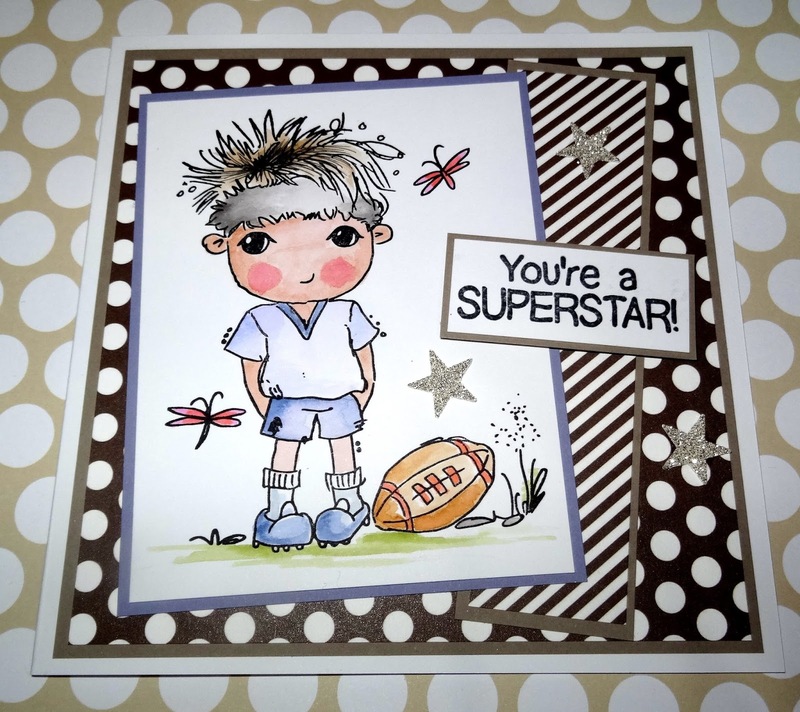 Blue Daisy Designs: You're a superstar! Hello! A change for me today.. a kids card! 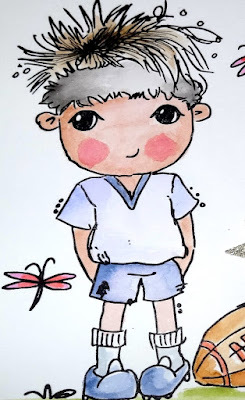 and, for a boy! Meet Alfie.. he's one of a set from Scruffy Little Kitten. I've had these stamps, together with a CD ROM for ages. I used the CD but not the stamps. But now I might be hooked! 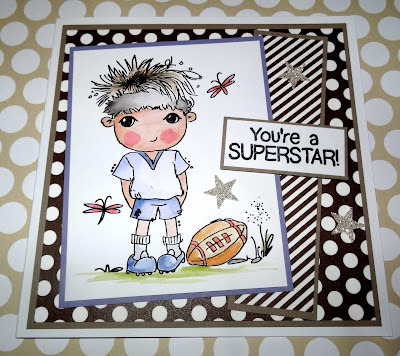 I've stamped him with Stazon so that I could use Tim Holtz Distress Markers to colour him. The papers are from Simple Stories.